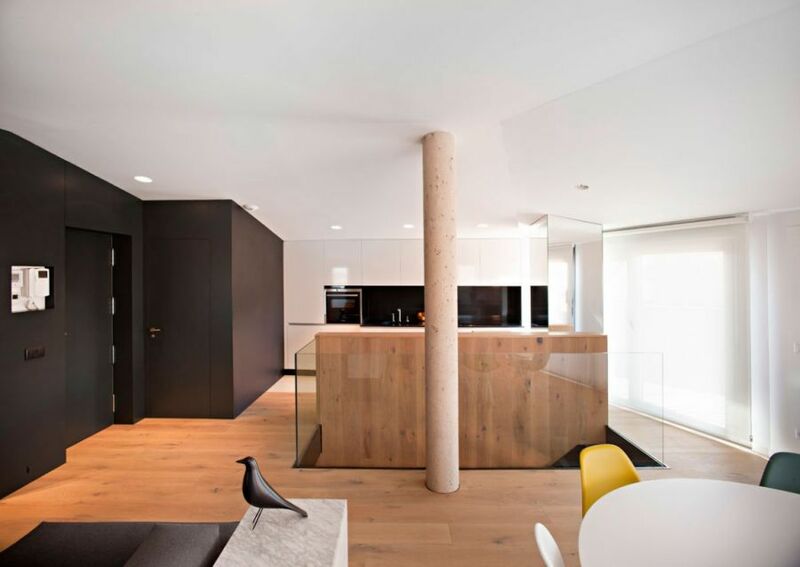 Designed with refreshing creativity by N232 Arquitectura, this stylish and modern duplex is all about altering our set perception of design and décor. 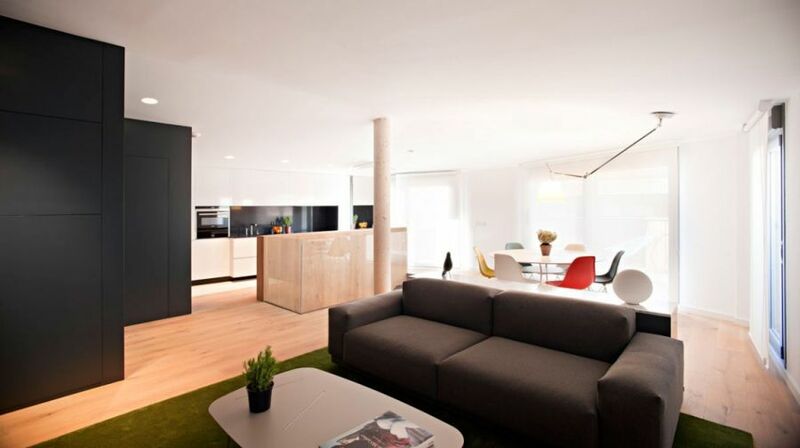 Nestled in the beautiful region of Arnedo, La Rioja, Spain the home sports interiors that are clean and contemporary. 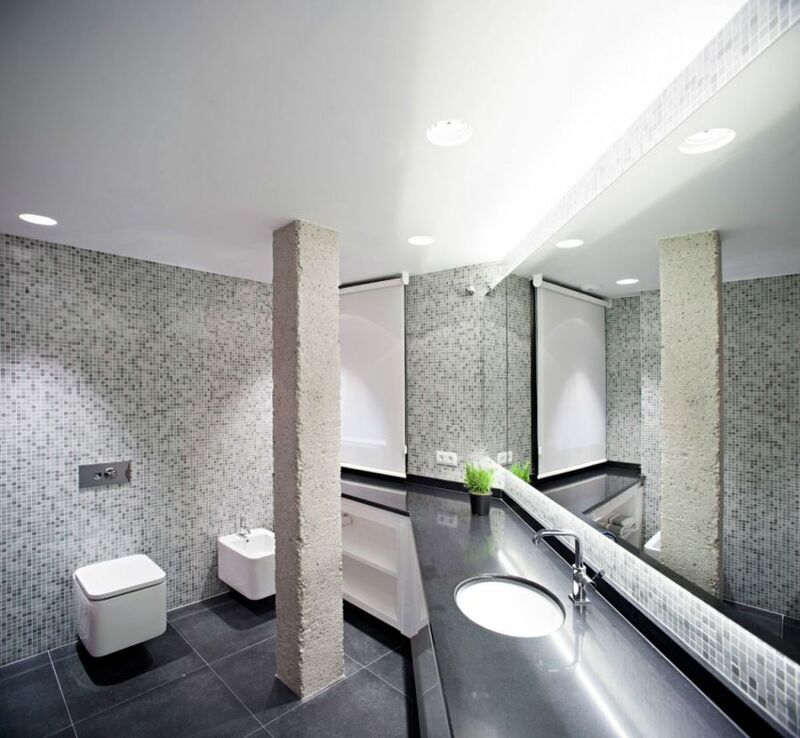 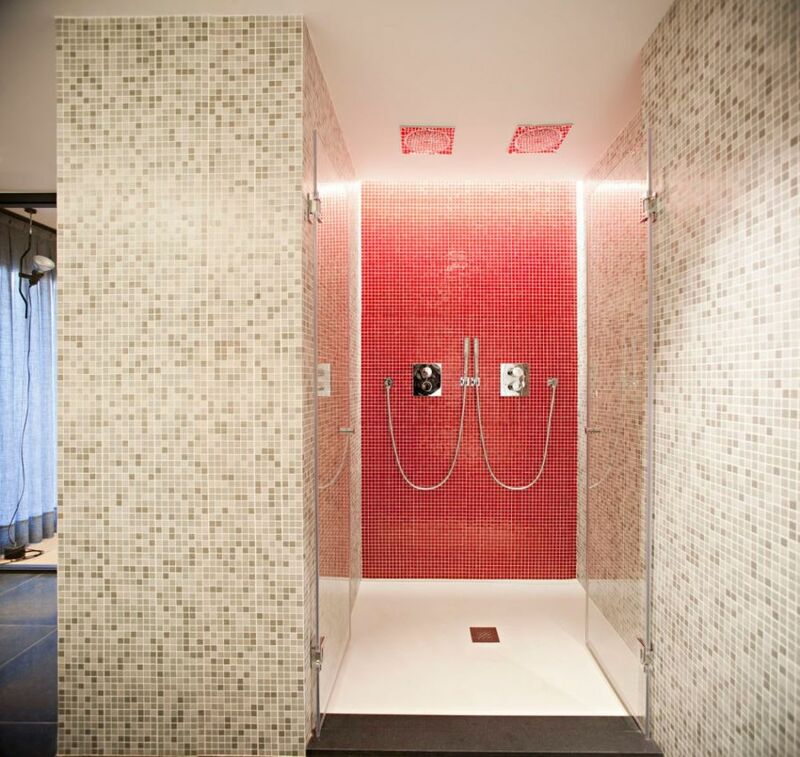 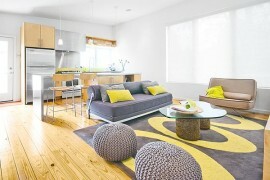 Yet, look a bit closer and you will see the hints of ingenious design that makes this space so very special. 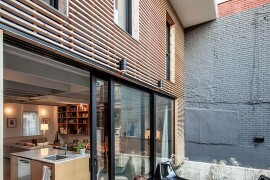 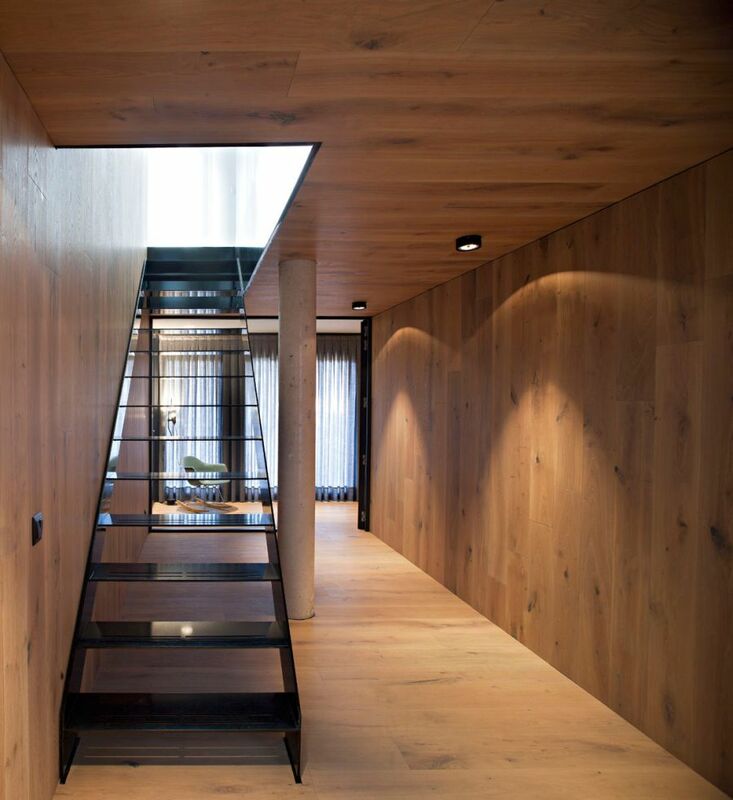 While most traditional houses have the public areas in the lower level and the private quarters on top floor, this duplex penthouse flips over that fundamental notion. 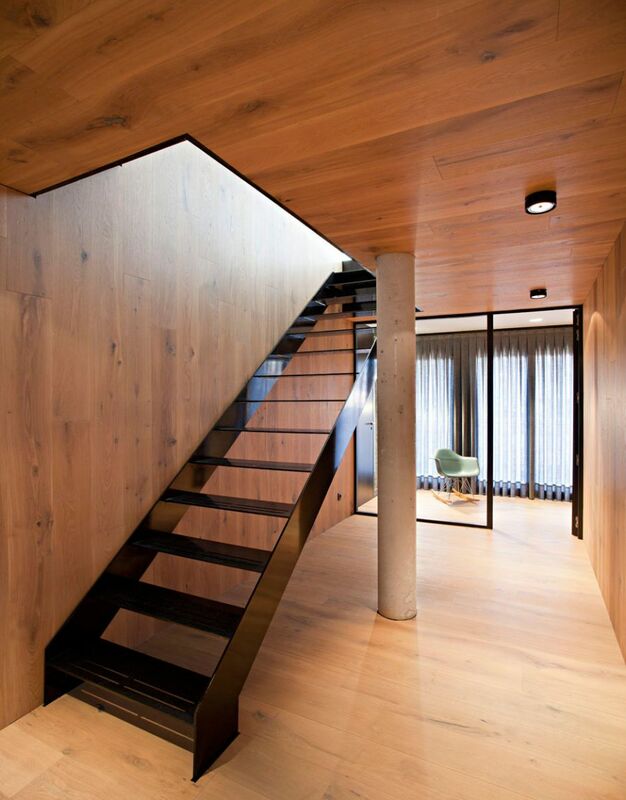 The main entrance to the home presents a staircase which leads the visitor to the social areas on the top level that include a living space, a small dining area and a modern kitchen in an open floor plan. 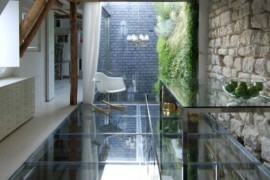 A cool glass partition marks the entryway in the living area without becoming a visual hindrance. 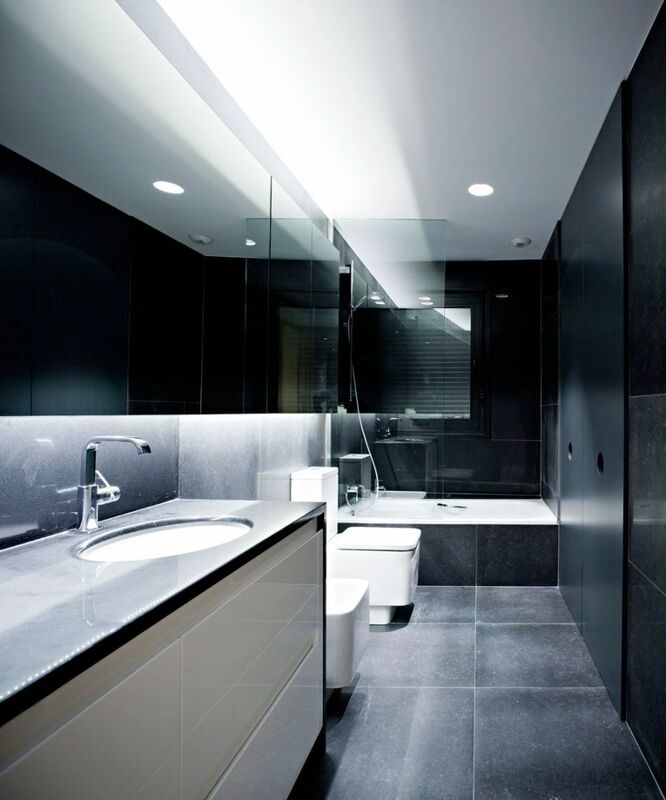 Décor is kept to a minimum with large black walls on one of side the room offering visual contrast. 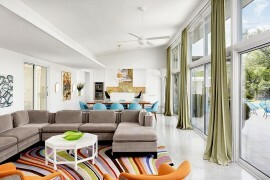 It is the gorgeous use of bright colors that draws your attention instantly. 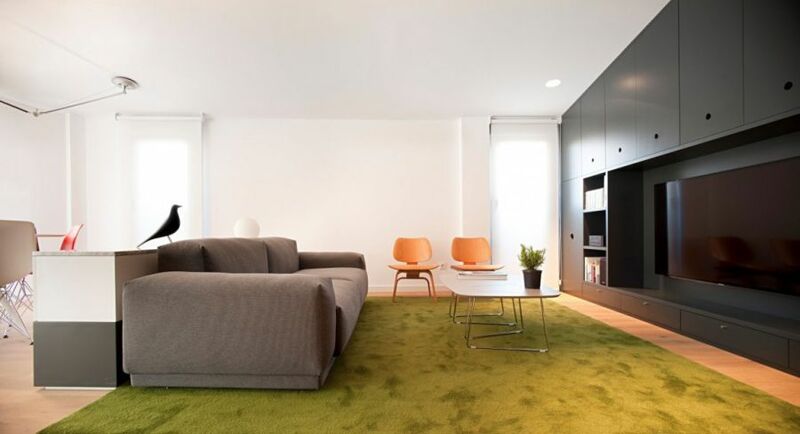 Resourceful mix of colors like orange and yellow along with a bold green carpet give the space an inimitable aura. 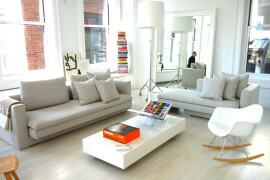 Yet one never feels overwhelmed by too much as things clean and well defined design lines make up for the infusion of bold shades. 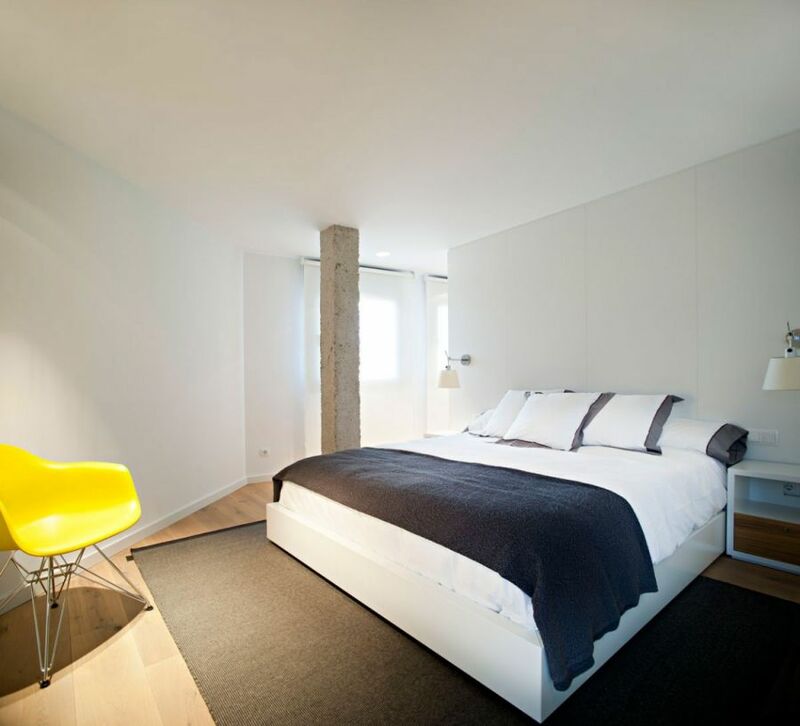 Step below and the lower level sports bedrooms and bathrooms that promise ample privacy even as the master bedroom doubles up as a micro apartment on its own. 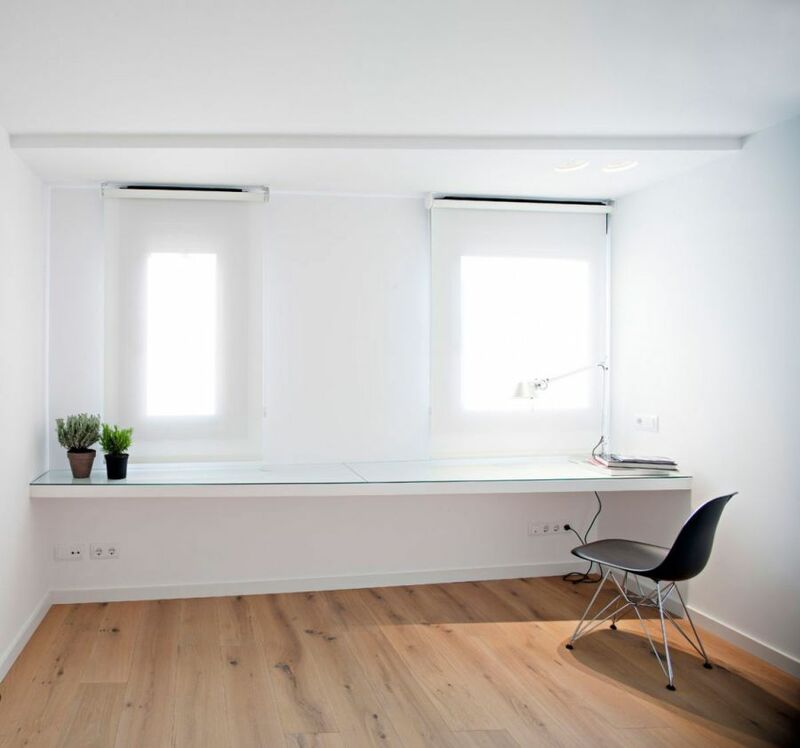 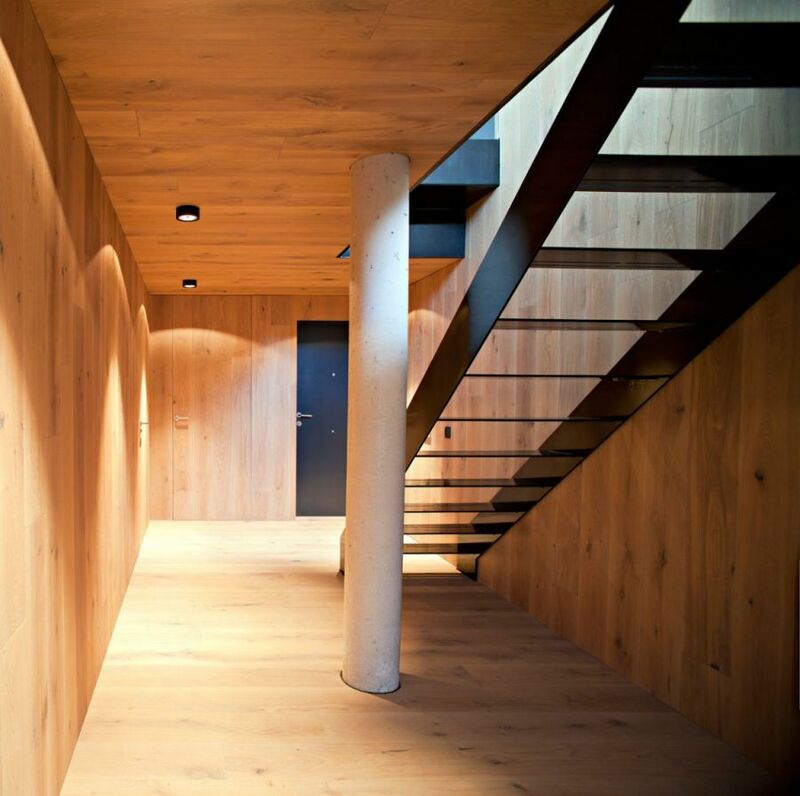 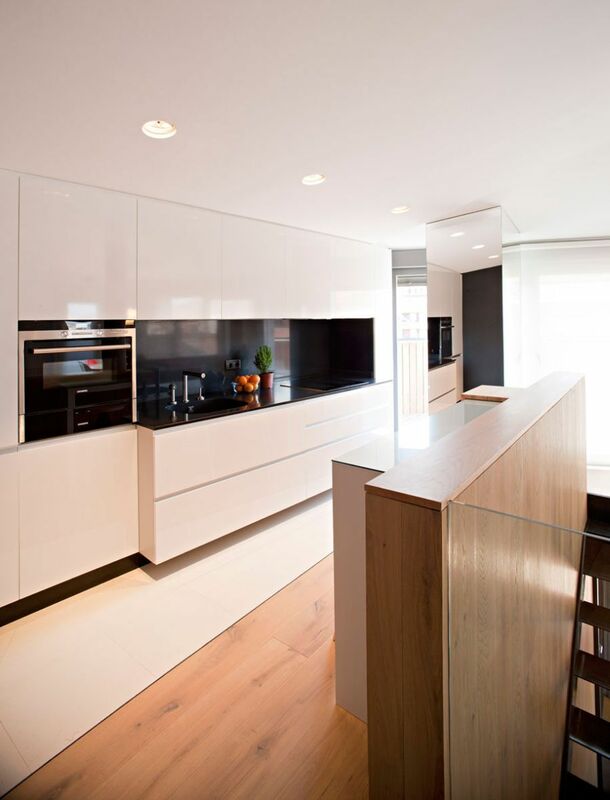 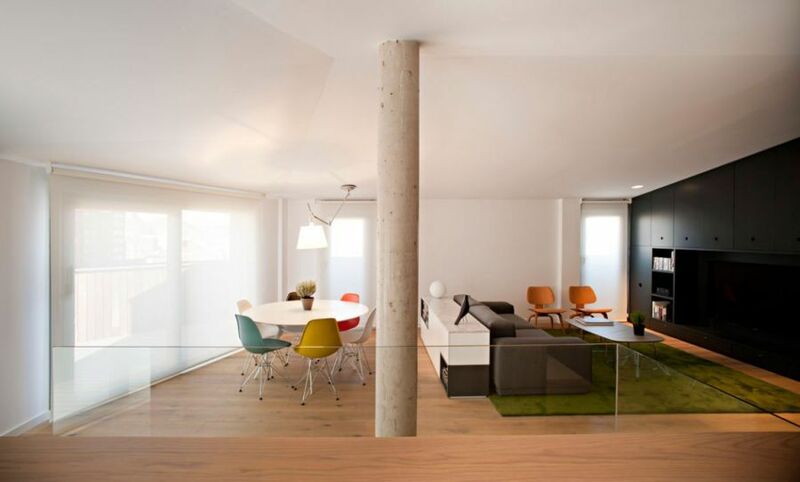 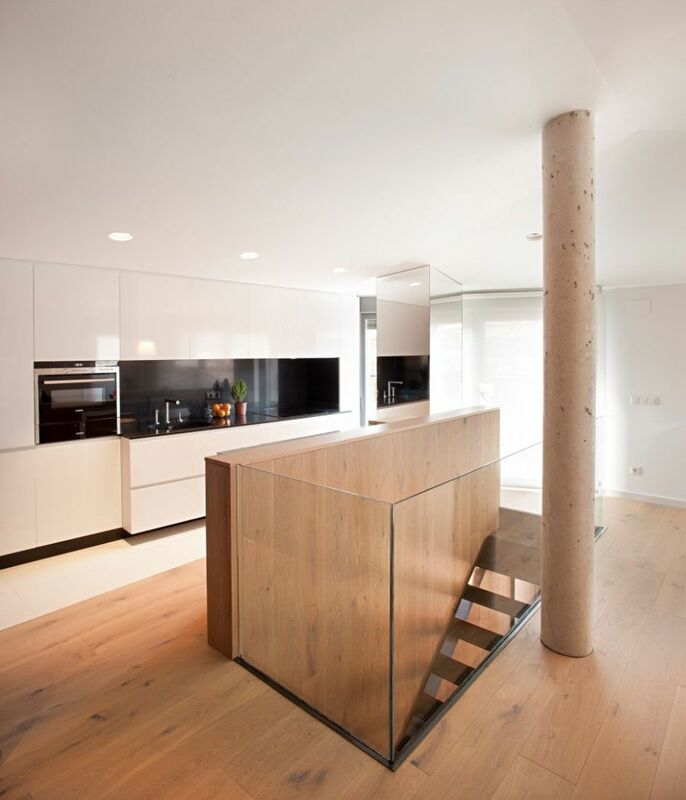 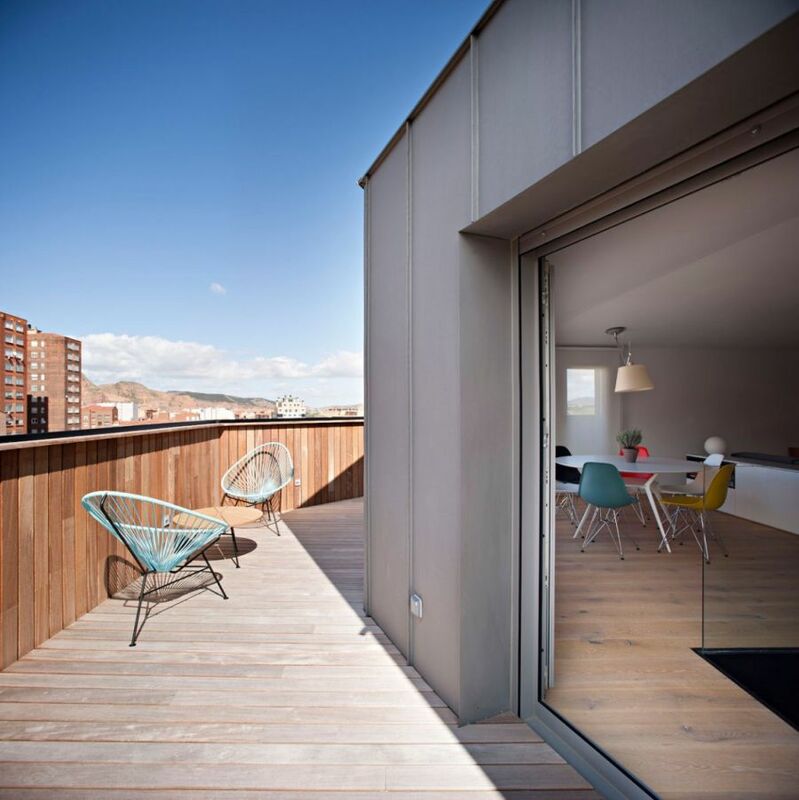 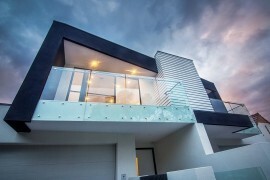 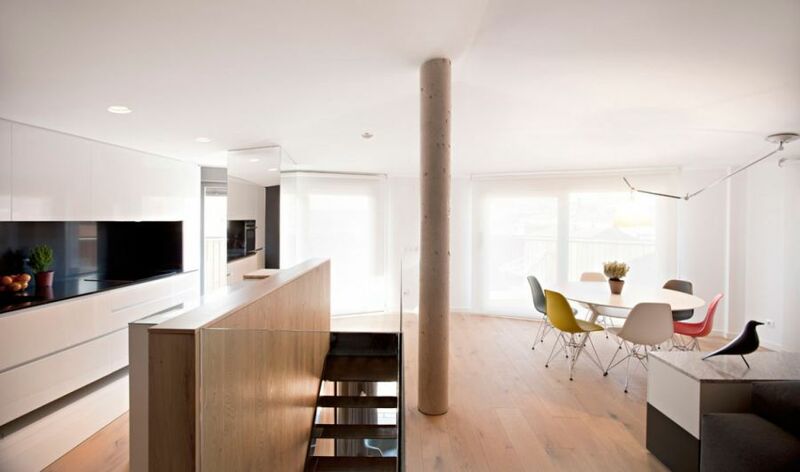 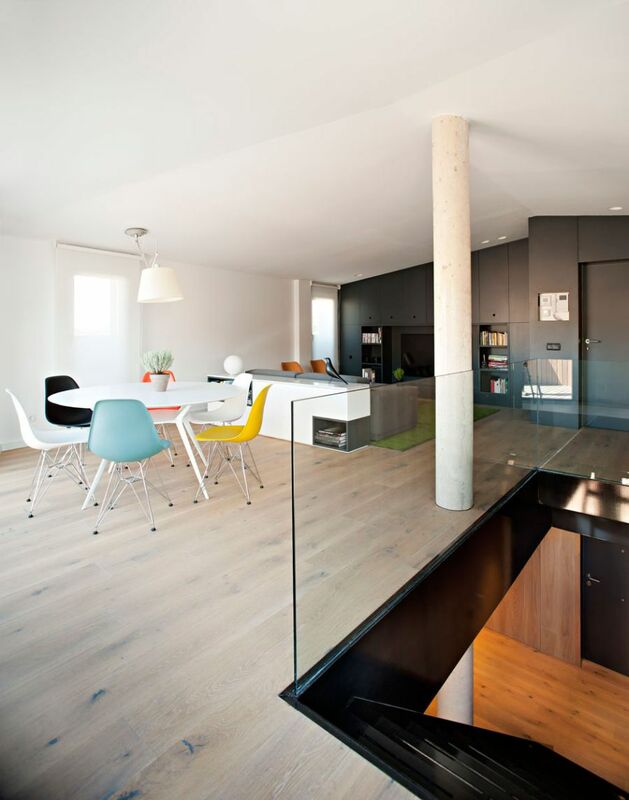 Both ergonomically and aesthetically appealing, this is Spanish duplex offers an inspirational change from the mundane!